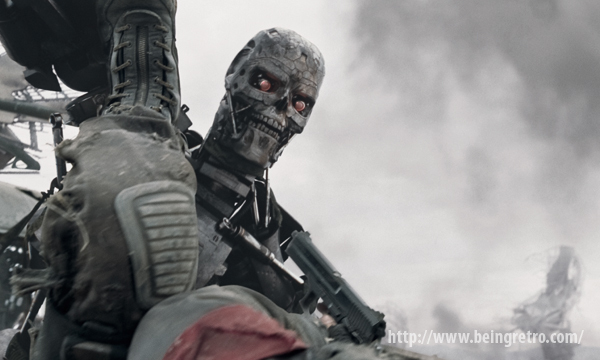 Being Retro: Terminator Salvation (2009) - WELCOME TO TERMINATOR WEEK! 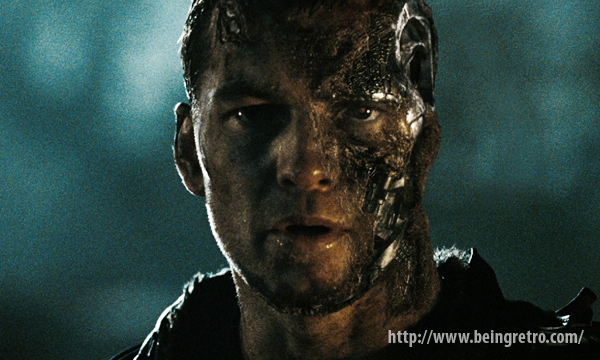 Terminator Salvation (2009) - WELCOME TO TERMINATOR WEEK! Terminator Salvation is the fourth installment of the Terminator film series, made by The Halcyon Company and again distributed by Warner and Columbia, and with an original release on May 21, 2009. It was written by John D. Brancato, Michael Ferris, Paul Haggis, Shawn Ryan, Jonathan Nolan, and Anthony E. Zuiker, directed by McG, and stars Christian Bale as John Connor. After Skynet has destroyed much of humanity in a nuclear holocaust, John struggles to become the leader of humanity that's he is destined to become, but in this future, Marcus Wright (Sam Worthington, who was personally recommended by James Cameron) has somehow altered it, and the T-800 (Roland Kickinger with CG-rendered facial likeness of Arnold Schwarzenegger) is coming online sooner than expected. The film also involves Kyle Reese (Anton Yelchin) and how he became the man he was in the first film. John Connor: [to Marcus] You and me, we've been at war since before either of us even existed. You tried killing my mother, Sarah Connor. You killed my father, Kyle Reese. You will not kill me. and then Worthington pretty much disappeared after that... is Terminator killing actors' careers, J-man? Kristanna, Linda, Furlong, Samwise..... pray let it not happen to my dear Jai Courtney too! No, Worthington went on to do Avatar and then that awful Clash of the Titans movie. And here is where it all went south... Terrible movie. I only watched this once. Not my favorite but it wasn't terrible. I felt like Christian Bale yelled the entire length of the movie. It was the first film I thought Bale was terrible in.